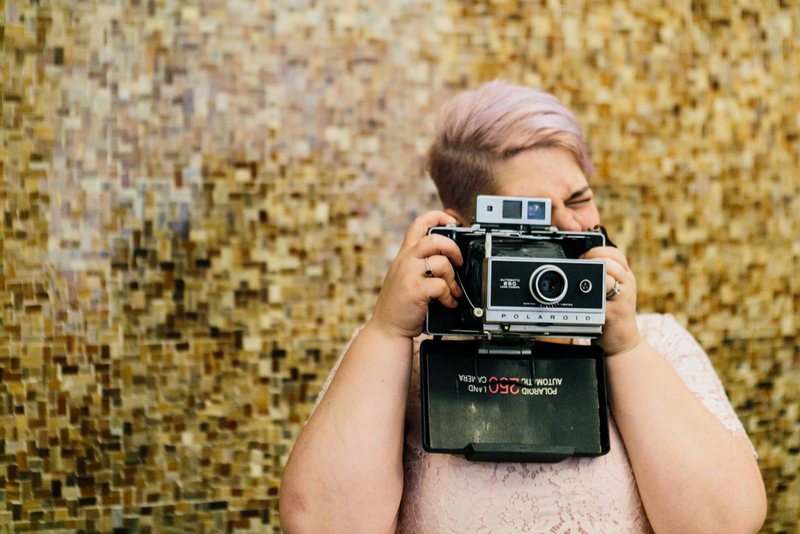 This New York couple had an increasingly popular style of wedding that is a cross between a traditional intimate wedding and an elopement. It's a... wed-opement! Further breaking with tradition: they got married on a Monday, and started at 7:30 in the morning, creating a radical party time frame for them and their guests while most of the City was sitting behind their desks. 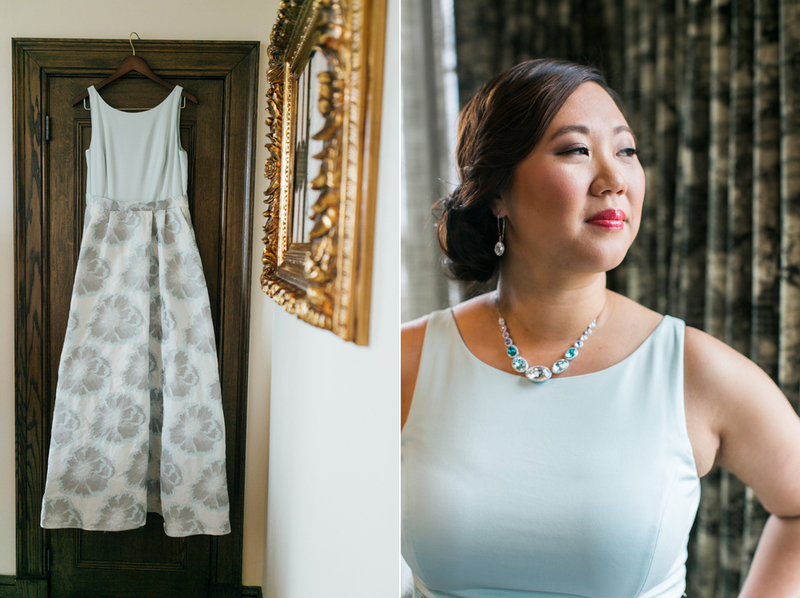 Allison and Will got ready together at the Ludlow Hotel, who gave them a room with a sunroom attached that Ellen and Najeebah from Face the Day used to do Allison's hair and makeup. Friends and family came bearing much-needed coffee (and, ahem, flasks) while they got ready. We traveled via cabs to City Hall where they got married, and then the newlyweds and I went to the Sixth Street and Avenue B Community Garden for a portrait session. Everyone met back up again at a bar next door to where their reception was being held while we waited until it was time to go over. 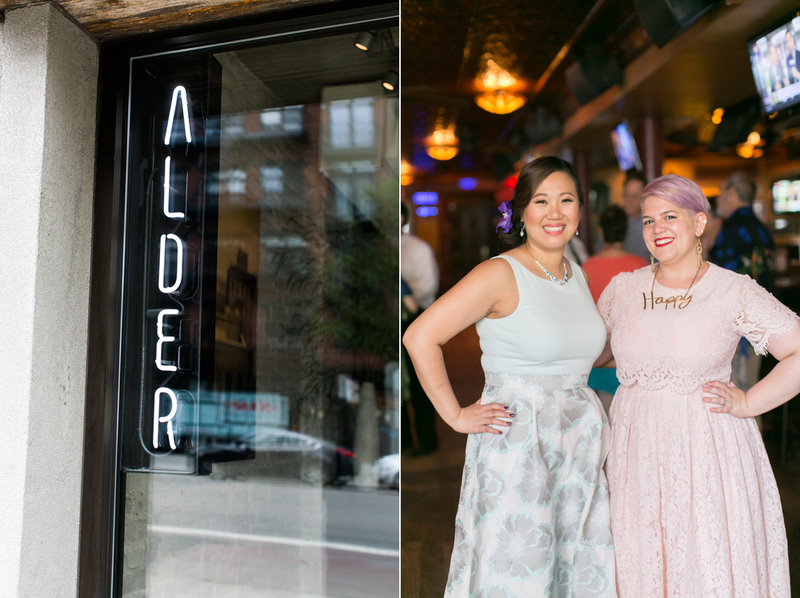 Alder is a restaurant located in the East Village owned by Chef Wylie Dufresne, who created an amazing canapés + four-course tasting menu for Allison and Will. The food was incredible, and it was quite the experience to meet Chef Wylie in person - he's larger than life! 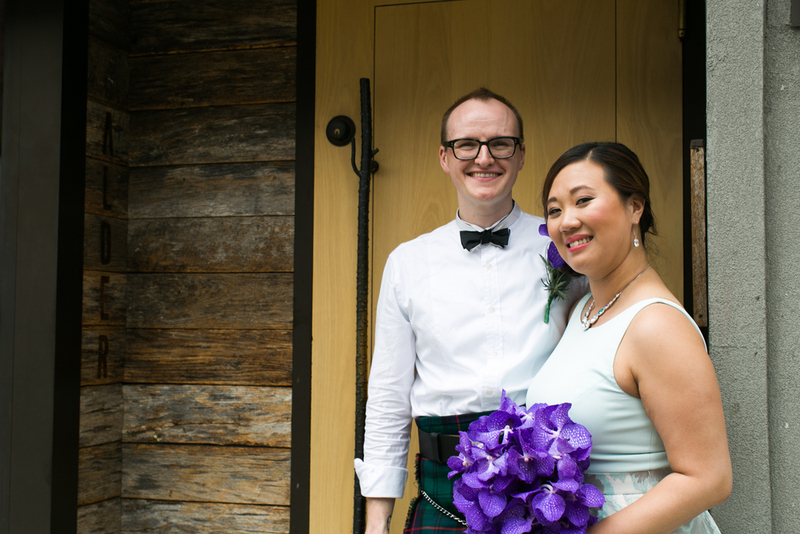 A fun note: Will has the distinction of being my very first groom to rock a kilt, and I think he looked so dapper. Congrats to Allison and Will!